Protect your dryer with the heavy-duty soft foam filled nylon carrying case. 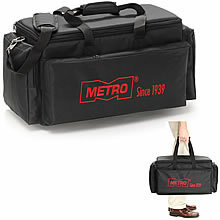 It's sure to keep your Metro Dryer safely stowed while you’re on the go. Made to fit all Metro Dryers with the exception of the TT2X4 Twin Turbo Dryer.